Apparently Ron Wyden joins such illustrious Democrat company as John Conyers (“What good is reading the bill…?”), Nancy Pelosi (“We have to pass the bill so that you can find out what is in it”), and Ben Nelson (“I don’t think you want me to waste my time to read every page of the health care bill”), in not bothering to read the evil ObamaCare bill that he personally voted for and vigorously supported. The Oregon Democrat breaks ranks with the White House. Most Democrats have come to understand that they can’t run on ObamaCare, but few have the temerity of Ron Wyden. The Oregon Senator is the first to break with the policy underpinnings of the bill he voted for. Now, that’s news. One of the Democratic Party’s leading experts on health care wants his state to dump the individual mandate that is among ObamaCare’s core features. The U-turn is especially notable because Mr. Wyden once championed an individual mandate in the bill he sponsored with Utah Republican Bob Bennett. We have differences with Wyden-Bennett, but it was far better than ObamaCare and would have changed incentives by offering more choices to individuals and spurring competition among providers and insurers. Mr. Wyden should have known better than to vote for ObamaCare given his market instincts and health-care experience. Even so, the price for his support included the Section 1332 waivers that he is now promoting. In addition to the individual mandate, states may evade regulations about business taxes, the exact federal standards for minimum benefits, and how subsidies are allocated in the insurance “exchanges”—as long as the state covers the same number of uninsured and keeps coverage as comprehensive. Medicaid also grants some indulgences toward state flexibility, even if those waivers are difficult to acquire. The Secretary of Health and Human Services would need to approve the ObamaCare alternative of Oregon or any other states, and the waivers don’t start until 2017, three years after ObamaCare is supposed to be up and running. It is also hard to see how anyone in the current Administration would grant them. These practical realities aside, Mr. Wyden’s move may be more important as a political signal. Mr. Wyden is running for re-election this year. And while he is now well ahead of GOP challenger Jim Huffman, in a year like this one he has cause to avoid becoming Barbara Boxer or Patty Murray, who may lose because they’ve remained liberals from MSNBC central casting. This sort of thing also isn’t supposed to happen to newly passed entitlements. Democrats have long believed that once an entitlement passes, however unpopular at the time, voters and business will grow to like it and then Republicans begin to come around. The exception was a catastrophic-coverage program to replace private “Medigap” policies, which Democrats passed in 1988 and repealed a year later amid a public furor. On ObamaCare, Democrats are having the first political second thoughts, at least in this election season. Mr. Wyden is essentially saying that what his party passed is not acceptable, and if such thinking builds, opponents may have a real chance to replace ObamaCare with something better. Democrats are now actively running from the Democrat Party and the Democrat Platform. Democrats are running campaign ads that literally omit the fact that they are Democrats. They are running as opponents of Obama and his agenda. They are running in droves as opponents of Nancy Pelosi (even when such Democrats actually VOTED for her as House Speaker). These same cowardly and corrupt Democrats who were in lock step passing Obama’s Marxist agenda are now claiming that they will offer an “independent voice.” But no, they won’t. 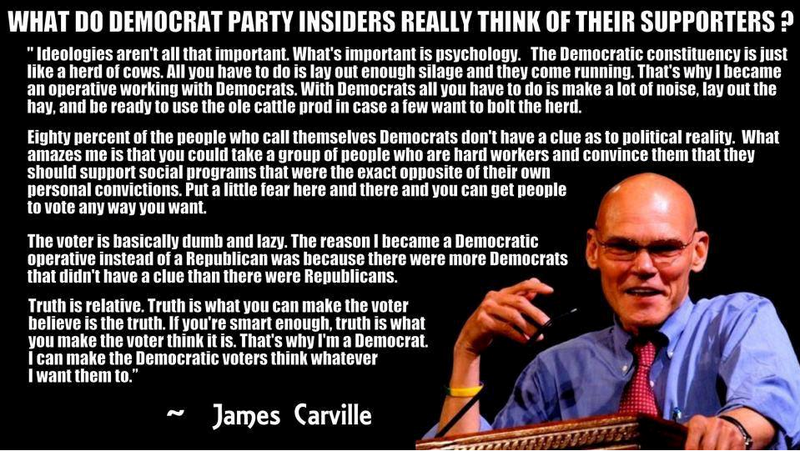 Never forget, “Democrat” actually stands for “Demonic bureaucrat.” And whenever Obama or Democrat leadership needs a vote from a Democrat, they’ll get it. Votes are largely assigned in the party machine. Nancy Pelosi and Harry Reid will allow vulnerable members to vote ‘no’ on their pork barrel bills if they have enough votes to pass them. But virtually all of those representatives and senators who voted ‘no’ on bills like the $862 billion stimulus and ObamaCare would have voted ‘yes’ if it had been necessary for them to do so. And just as many Democrats said they’d vote against ObamaCare until they voted for it (think Bart Stupak and his gang of supposedly pro-life Democrats) – often getting incredibly sweetheart deals for their treachery (think “Louisiana Purchase,” think “Cornhusker Kickback,” among others), the fact of the matter is that you can’t trust Democrats to follow through with whatever the hell they promise they will or won’t do. If you like relentless liberal socialism, then vote for Democrats. But don’t be stupid and vote for your Senator or Representative because they say they’ll oppose Obama. Because the next time they’re needed, they’ll be right back on board, voting as they’re told to vote. I mean, quit being Charlie Brown thinking Lucy will finally hold the football so you can kick it. She won’t. And Democrats won’t oppose the liberal agenda; they’ll support it, they’ll be its footsoldiers, just like they were the last two years. ObamaCare is more than just bad. It is evil and it will lead to rationing and Sarah Palin’s death panels in spades. There are 160 new federal bureaucracies created under ObamaCare, in the nearly 2,400 incomprehensible pages of the bill, and every single one of them both individually and through bureaucratic pinballing will ultimately amount to a death panel. The stimulus was equally awful for our economy. And Americans overwhelmingly recognize that, just as they overwhelmingly recognize that ObamaCare was awful. If you want less of this, please don’t vote for the party that imposed it. Vote for the party that united against it: the Republican Party. Democrats have repeatedly demagogued Republicans as “the party of no” even when THEY had been the party of no when Republicans were in charge. But being the party of no is a GOOD THING when the party in power seeks to pass one awful, America-destroying bill after another.